If you’ve seen LibStaffer’s newest addition, Workflow Forms, and you’re already wondering about the ways you can use it – then look no further than this blog post. And if you’ve never heard of LibStaffer, Springshare’s staff and service-point scheduling tool, then you’re in luck! We’re doing webinars all November long and the first one starts tomorrow, Wed Nov 14 @12pm US ET. Sign-up to attend the 30min session and learn all about LibStaffer, Workflow Forms, and exciting upcoming updates like SMS notifications and GPS Limiters for Clocking In/Out. Whether you’re an Academic, Public, K12, or Special Library – we have 5 examples of ways you can use LibStaffer Workflow Forms in your library – read on below! All webinars are 30 minutes long, join us! One of the many reasons Workflow Forms came to be was a need to have one place to route all incoming job/position applications. And it made sense to make that ‘one-place’ be inside the very staffing/scheduling tool you use. Use LibStaffer Workflow Forms to create a Job Application Form for librarian or para-professional positions. Create custom stages to route each application through your process. Bonus, each ‘stage’ has customizable email alerts so only staff on the interviewing committee will receive an email alert when an application is moved to ‘Selected Interview’. Is your library thinking of starting a Human Library program? If yes, consider creating a LibStaffer Workflow Form to route all ‘live book’ applications into one space. Describe what their book ‘title’ would be. Explain why they want to volunteer to be a part of your library’s Human Library project. Allow the library to take pictures, and to share them, during your Human Library events. Many of us here at Springy HQ were former Academic Librarians – and a few of us were in charge of workstudy students. So, we completely know the pain you go through finding reliable student workers, scheduling them, and then dealing with the 10,000 schedule changes they need to make – from dropped/picked-up classes, sports commitments, and the horrors of finals week. In fact, LibStaffer was originally built with these ‘pains’ in mind! So, Academic Librarians in charge of student employees – there are tons of features inside of LibStaffer designed to make your scheduling woes a distant memory! But, we digress! Do you hire non-workstudy students? If yes, indicate so in your form. Ask questions regarding their availability. And consider asking about any special skills they might have. Perhaps you’ll get an application from someone who is a native Spanish Speaker. Serán muy útiles if you need feedback on which Spanish-language books to add to your collection! Therapy dogs have shown their assistance in helping patrons of all ages. From college students who need help reducing stress during finals week to shy children, teens (and even college students) looking to build confidence by reading to a therapy dog or practicing a presentation to build public-speaking skills. Create a ‘Read to Dogs’ Volunteer Form to get some four-legged slobbery volunteers to come into your library and work with patrons. Are you looking for only certified therapy dogs? Be sure to ask that in your form. Do you want to see a picture of the doggy in question before accepting them? Add a ‘file upload’ field to your form so applicants can upload a picture of their furry friend. Sabbatical requests often go through a complicated process where many different staff are involved at differing stages. Create your sabbatical request as a Workflow Form – this way each and every submission goes through your process with strict oversight and auditing-capabilities. Is the request a brand-new request or an extension? Create that question as ‘Notify Checkboxes’ field type. This way, ‘New’ requests are routed to the approval committee and ‘extensions’ are routed to the review committee. With sabbatical requests, don’t be afraid to go nuts with the Workflow Stages. This way, you’ll be able to filter form submissions by a specific stage so you’ll always know the next step in the process. Already using LibStaffer? Learn more about using Workflow Forms! If you’re already using LibStaffer, then you might want to learn more about Workflow Forms. Each LibStaffer system comes with two forms. Need more? Not a problem! Contact us at sales@springshare.com to get pricing on additional forms. Check out our help documentation which has you covered from creating a new form to setting up stages. A really big – and important – LibStaffer update is on its way to production servers on Monday, October 15th, 2018 (US Eastern Time), and will be live in all regions by the end of the day. Why is this release so big and important? Two words: Workflow Forms. This new functionality in LibStaffer has the potential to greatly streamline the way your library processes various staffing-related forms. Everyone agrees collecting info via forms is useful – there are tons of use-cases for forms when it comes to staffing: Forms for Job (or Volunteer) application, Equipment requests, Professional Development requests, Travel requests, Consent forms, Onboarding forms, Staff suggestions forms, Vacation/Time off request forms… we could go on and on, but you get the idea. 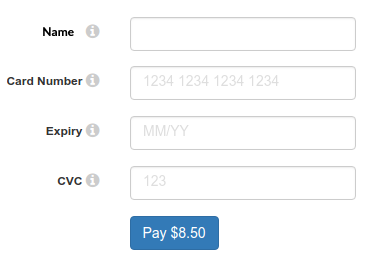 It’s easy to whip up a basic form using any number of online tools. But what happens after the form is filled out? That part is still largely manual and prone to errors, delays, confusion, inaction, etc. That’s where our new Workflow Forms functionality comes in. Workflow Forms enable LibStaffer admins to create a customized online form for staff use, and then goes further to facilitate the entire lifecycle of the form after the initial submission. The form sends automatic email notifications to various staff members based on selected values within form fields. You can create “stages” for each Workflow Form so different staff are notified whenever a form reaches a given stage. You decide who can review submissions, and then those staff members can leave notes and communicate internally regarding the content of form submissions… At the end of this you have a full history and audit trail of each form submission and the workflow/history around it – who assigned which stage to a given form, who left notes about it, etc. For compliance and record keeping reasons itself this Workflow Forms functionality is worth its weight in gold. Let’s take one obvious use-case scenario – an online application for a student workers or volunteers. Create your customized form with any number of fields/options, and even include a file upload field so applicants can submit their resume as part of the form submission. Tres cool! One of the fields could be a list of checkboxes indicating which position the person is interested in, and each checkbox could alert a different staff member of the submission – circulation desk applications go to jane@, the archives application interest can go to john@, info desk applications go to michelle@ etc. You would then assign “Stages” that each submission goes through e.g. “New Application / In Review / Qualifications Match / Interview Conducted / Accepted / Denied” and each Stage has its own notifications setup, too. As reviewers put applications through its paces they can leave notes on each “touch” and communicate/exchange info and thoughts about the application. The full notes history and Stages changelog is there for for all authorized users see, for audit compliance and transparency. Then, upon successfully hiring new student workers or volunteers, you can create another Workflow Form to be used for onboarding them! There are so many potential use-cases to put Workflow Forms to good use at your library. We’re incredibly excited about this functionality and we know you will be as well, once you start playing with it. You’ll arrive at many a-ha moments after you realize how many of your current form-based workflows can be moved online and improved upon with the LibStaffer’s new Workflows Forms. In addition to the all new Workflows functionality, we have even more features to share with you in this release. Clock In/Out Dashboard – We’ve added a high level overview to show all staff members the current clock in/out status for every user in your system, so everyone is on the same page about their colleague’s current status. To view the new Dashboard, select View Staff Current Status from the LibStaffer dashboard. Updated Regular-level Schedule View – We’ve updated the schedule view that regular level users see when they log in, so the selector menus for viewing other dates, schedules, etc. will now look the same for both admin and regular level users. 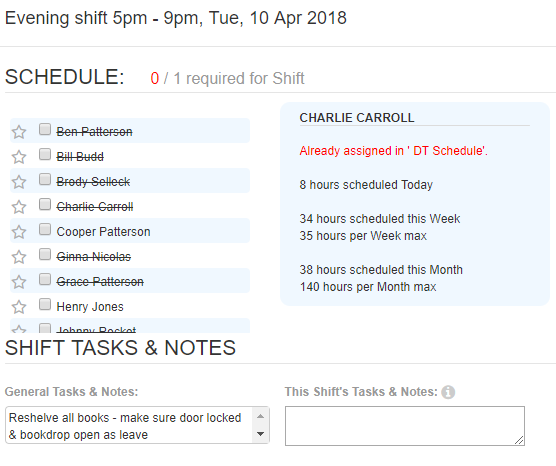 Scheduled Shifts Report Update – We’ve made a small tweak to the Scheduled shifts report and will now display the total number of hours a user has been assigned to within the time period you specify. To see this in action, admins can head to Reports > Scheduled Shifts. Time Clock Report Updates – We’ve added an “All Staff” view to time clock reports, so you can view a report for all staff members who are part of a particular schedule. We’ve also updated the way that time displays in these reports – rather than just displaying information in minutes, we’re now displaying in hours and minutes, so it’s easier to understand how much time you’re looking at. Elevated Regular Level Users can now edit and delete approved time off for users on schedules they manage. To see this in action, these users can now head to the Time Off page and will be able to see, edit, and update requests that have been approved. Updated Working Hours – We’ve updated the way Working Hours are entered, so it’s now possible to fully clear out hours that you’ve previously entered. To manage your working hours, head to Manage Account > Working Hours. 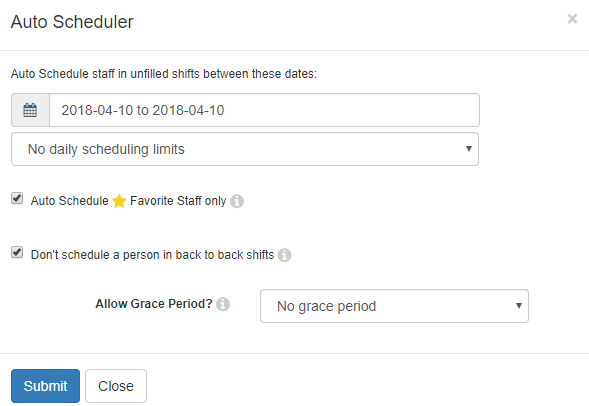 Auto Scheduler will no longer schedule staff members who previously belonged to a schedule, were favorited for particular shifts, but have since been deleted from the schedule. To learn about the all new Workflow Forms, or get a refresher on using LibStaffer, sign up for our upcoming training sessions! The LibStaffer 2.9 release is headed your way this week, and will be released to all regions by the end of the day on Thursday August 9th. We’re bringing you a refreshed UI with easier to navigate pages, plus improved Auto Scheduler functionality and a whole lot more! Read on for all the deets. We’ve updated many of the screens throughout LibStaffer to improve your site navigation experience and give the system a more polished look and feel. In this update we’ve concentrated on the Edit Schedule pages – we’ve improved the layout of all settings so they’re more intuitive, and added a quick switching element to the top of the page so it’s easier to jump between schedules. We’ve also polished functionality and improved help text on all modals on this page, including Clear/Delete Shifts, Auto Scheduler, Email Scheduled Shifts, and Edit Schedule, to help clarify all of the available functionality and make navigation smooth sailing! We’ve heard several comments from folks that the Auto Scheduler was in need of improvement – it could be slow to run, and in certain scenarios, shifts weren’t being distributed among all available staff members as equitably as they could be. In this release, we’ve completed a major update of the Auto Scheduler functionality – now, it will both run faster and distribute shifts among available staff members in the most equitable way possible, even across large date ranges. To see it in action, admins can head to Edit Schedule > Auto Scheduler. Time Off Request Emails have been updated to be more informative – they now include all details about the time being requested, so you have more information on the time off being requested right in your inbox. Pending Swaps and Given Up Shift Reports have been combined into a single report, so it’s easier to see all shifts that may need coverage, all from one screen. 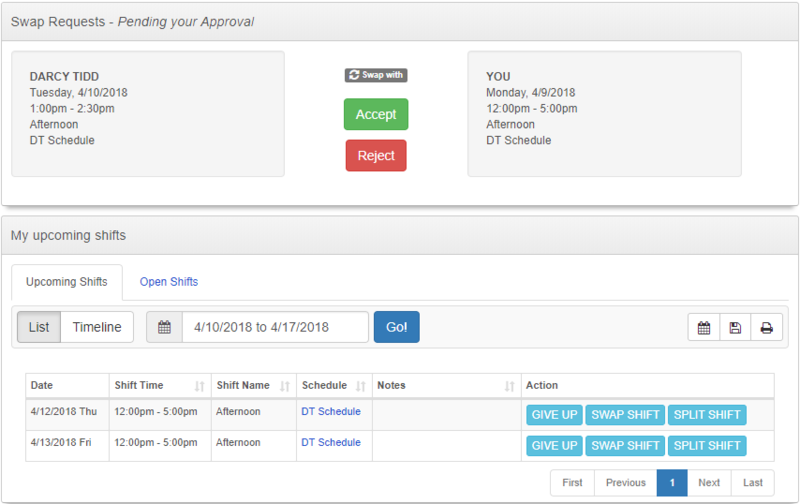 It’s now possible to navigate to every shift in a schedule using just the keyboard and/or screenreader software, no mouse required. We’ve added a separate “Add Shift” button, so you can create new shifts without requiring a keyboard. To add a shift, head to Edit Schedule > Cog Icon > Create Shift. Want to Plant Some Smart Seeds? LibStaffer is your Perennial Solution. It’s nice outside. We should do something! Springtime brings with it long-lost sunshine, longer days and — with all the light bouncing off the pastels — we are forced to see the long-standing issues that we filed in the formerly dark corner. What’s there has likely been there for months, maybe even a couple of years? But, the thing about Spring is it fills us with new optimism. We want to start a good checklist. We have energy. We, even, have the time to do it right. Fortunately, we live in a beautiful age where Smart is the new black. Thomas Edison would be proud that his already amazing light bulb is even smarter today. If Smart is where you’re headed, LibStaffer is a solution that will let you tackle a perpetual headache… scheduling the staff. Do this right now and it will continue to work for you week after week, semester after semester. First things first. Let’s get the information into LibStaffer. As with all great things, the cornerstone is the people. You begin, by creating accounts for the people you want to schedule. You can assign them default schedules to view and put in their maximum hours per week and per month. For real precision, you can then put in their working hours. This is super flexible as it allows for up to 5 levels of distinction so you can simultaneously define when a person can’t work by creating ranges for when they can. Your holidays and reasons for time off (sick days, personal days, etc.). Your staff can put in their time off, as well, for an upcoming conference or to attend a wedding. There’s also the option for recurring time off, for instance, every Monday, Wednesday, and Friday from 9am-11am. Schedules make the world go around. The next step toward greatness and freedom from the chaos is to create your schedules and assign people to them. The schedules can have shifts configured in various ways. In those shifts, you can determine the hours and how many people you need. Assign particular tasks you want to be completed. You can even decide how many times you want a person to have to be assigned to that shift. You’ve planted the seeds, now stand back. Once the key pieces are in LibStaffer — who is working and what needs to be worked — filling those shifts is like the act of watering the new garden. However often you do it, weekly, bi-monthly, etc., you will simply choose to do this manually or via the Auto-scheduler. Watering can or drip system. All of this vital information that you need is right there. You don’t have to sort through sticky notes people have left for you. You don’t have to try to remember and find that email where someone asked for a day off. You don’t have to worry that you’ll make the schedule only to find that someone left you a voicemail last week asking for a day off. You’ll simply instruct everyone to get these things into the system and then it will be right there when you’re making the schedule. Or, you can use the auto scheduler and define the time period you want to be scheduled and click a button. The system will crawl through the information and it will schedule people knowing, who is off, who has already reached their max and who is away at a conference. Of course, the reason making the schedule has often been considered the perpetual headache is not just because of the sifting through all the papers and emails and messages that it takes to get it sorted. But, also because of the fact that once you make it, right away, someone has a conflict s/he forgot to tell you about. Suddenly, you have to revise and while you’re doing it, you just know that it won’t be the only request for a change. Plus, when you’re scheduling people manually, you can override rules, if necessary. People can ask for time off and you can approve or deny it easily. LibStaffer will even show you if that person who requested time off has already been scheduled to work on the day s/he asked for. So, here’s to sunshine. Here’s to the blossoming of ideas and to reaping what you sow. Why should lightbulbs and phones be the only things getting smarter? LibStaffer can lead to a smarter use of your Springtime and the days beyond that.